JOIN US AT OUR OPEN HOUSE - SATURDAY, DECEMBER 16 FROM 10 TO 6!! Join us for a fun filled day and meet our zany clowns, all new artists, delicious food and tasty booze! 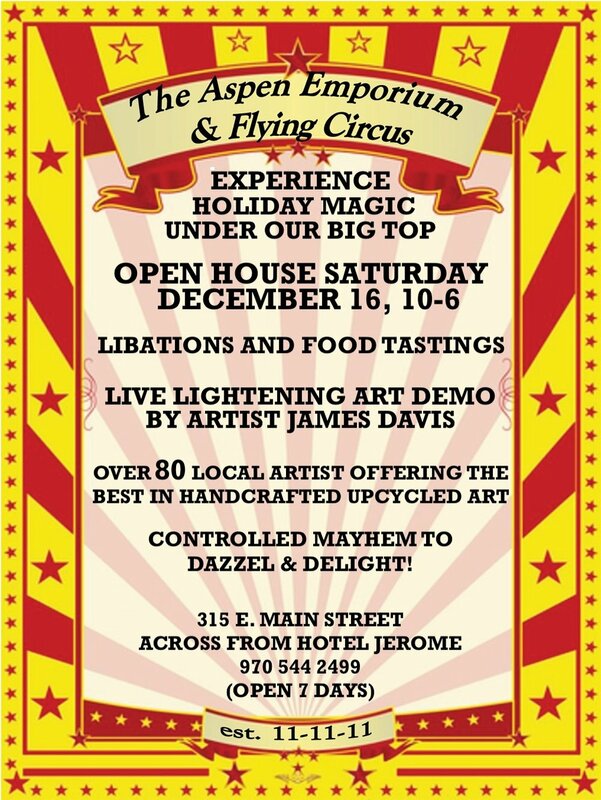 Meet our artist James Davis for a LIVE Lightening Art Demo!! We are happy to announce our new blog!! Here you will be able to find new and exciting things about the Emporium and Flying Circus - new artists, website updates, or just something fun we wanted to share with you.